Have you applied for a passport and want to track passport status of your recently applied passport ? 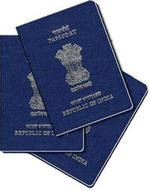 It is easy to check passport status through online. You need to enter just a file no and Date of Birth and you will be getting a status of passport as a message on the same page. Select your Application Type “Passport” and Enter the file no in Second Text Box. Click on Track Status, you will get the current status message of the passport. This entry was posted in India Talk, Online on June 23, 2011 by Yogesh Bajpai.